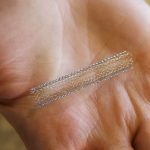 To most connected with the pharmaceutical industry, it is a common knowledge that the cost of prescription medicine, even traditionally, has always defied the law of gravity. However; what is alarming today is the steep increase in the cost of specialty drugs that target everything from multiple sclerosis to cancer, blood pressure, and even erectile dysfunction. 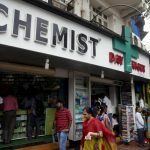 In India, the controversy on price control has picked up speed once again following the Supreme Court’s verdict that existing prices are set at unreasonably high levels. Accordingly, the National Pharmaceutical Pricing Authority (NPPA) has expanded the National List of Essential Medicines and the total number of drugs now affected by price controls is a whopping 700!!! Amongst the new products included are those used in treatment of diabetes (gliclazide, glimepiride, sitagliptin and voglibose); high blood pressure (amlodipine and telmisartan); and high cholesterol (rosuvastatin). Additionally the government has asked the pharmaceutical manufacturers to continue producing drugs unless they receive a nod from regulators to stop production. The pharmaceutical manufacturers are distressed by these stingy policies of Indian government. They argue that price control alone cannot ensure accessibility to medicine. The government needs to look at alternative methods such as universal healthcare coverage as well as increase its spending on healthcare to address the issue of accessibility. 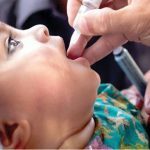 While these stingy pricing policies of the Indian government ensure that drugs in India are cheap, often way less expensive than the cost of the same medications in the U.S. or Europe they create another less obvious but nevertheless important downside – they delay the entry of new pharmaceutical products into the Indian market. 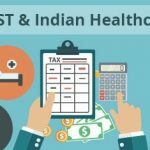 It has been estimated that it takes almost five years for even half of new pharmaceutical products launched in the US to come to market in India. The Indian government must therefore decide the importance of lowering the price of available drugs, given that such policies will delay how quickly its citizens will get access to new ones. There is a need to strike a balance between the two important goals, of controlling costs versus expanding access. In my opinion price control alone cannot improve the accessibility to medicines. Value based pricing can be considered as a part of the solution to the rising price of prescription medicines. Under value-based pricing agreements, payers and pharma companies agree to link payment for a medicine to value i.e. patient outcome achieved, rather than volume. 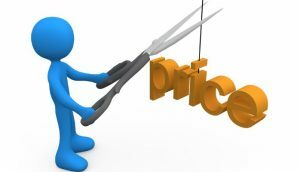 Getting a handle on value based pricing is however not that straightforward. Successful value-based pricing arrangement mandates a clear definition of when the medication works, and when it does not work. The process involves collection of value attributes (e.g., outcome or performance variables of interest) and subsequently aggregating and converting (using a decision rule) to evaluate whether the value metric was achieved. Data collection would need to be initiated early in the product life cycle. The basis of the higher price is always based on incremental value over other treatment options. 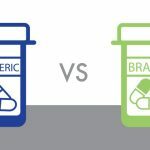 Some drug companies use comparative data and indication-specific pricing to favor “clinically superior” medicines and make sure their treatments are covered across the board. An interesting example is that for erlotinib (Tarceva), a drug that extends life in patients with lung cancer by an average of about 4 months, but for only 12 days in patients with pancreatic cancer. So in indication-specific pricing, one would pay differently for the drug depending on which indication it is being given for. Drug pricing is no doubt a complex calculation but value based pricing can be looked upon as a one part of the solution to strike the delicate balance between availability and affordability of essential medicines.